Garden Tools Corner Blog: Why Is Gardening So good for Our Health? Why Is Gardening So good for Our Health? Vitamin D increases your calcium which benefits your bones and immune system. Exposure to sunlight helped older adults achieve adequate serum vitamin D levels. Such outdoor activities like gardening are a perfect way to get your sunshine while pursuing a fun hobby. 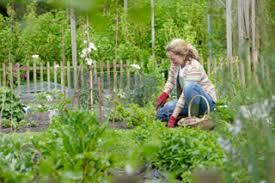 A 2006 study found that gardening could lower risk of dementia by 36 percent. Researchers tracked more than 2,800 people over the age of 60 for 16 years and concluded that physical activity, mainly gardening, could reduce the incidence of dementia in future years. Gardening fights stress even better than other hobbies. Participants completed a stressful task and were then told to read inside or go outdoors and garden for 30 minutes. The gardening group reported better moods afterward, and their blood tests showed lower levels of the stress hormone cortisol. Gardening is an excellent form of aerobic exercise; plus, you might become so engrossed in your work that you don’t even realize you’re breaking a sweat. Pulling weeds, reaching for various plants and tools, and twisting and bending as your plant will work new muscles in your body and help with strength, stamina, and flexibility. After retirement, many people struggle with fewer socialization opportunities, and community gardens can be a fun way to engage with others while providing benefits to neighborhoods. According to the Centers for Disease Control and Prevention, community gardens are "collaborative projects on shared open spaces where participants join together in the maintenance and products of the garden, including healthy and affordable fresh fruits and vegetables. Spending time in the dirt can improve your sleep quality. The physical activity tires you out, but more importantly, tending to your garden reduces stress and anxiety levels, meaning you’ll be able to fall asleep easier and experience sweeter dreams. It Keeps Your Mind Sharp. So getting your hands dirty seems to be very beneficial to your health. Even tending to small plot can nurture your soul. We are very caring by nature caring for plants fulfills that urge we all have. The community gardens are the best thing going for city-dwellers. I am very fortunate to live in the country, with one acre of land to fulfill my connection with nature. Gardening is medicine for the soul, whole body and mind. At gardentoolscorner.com we have all the tools to simplify the task for even more pleasure while working in the soil. Happy Gardening to all.